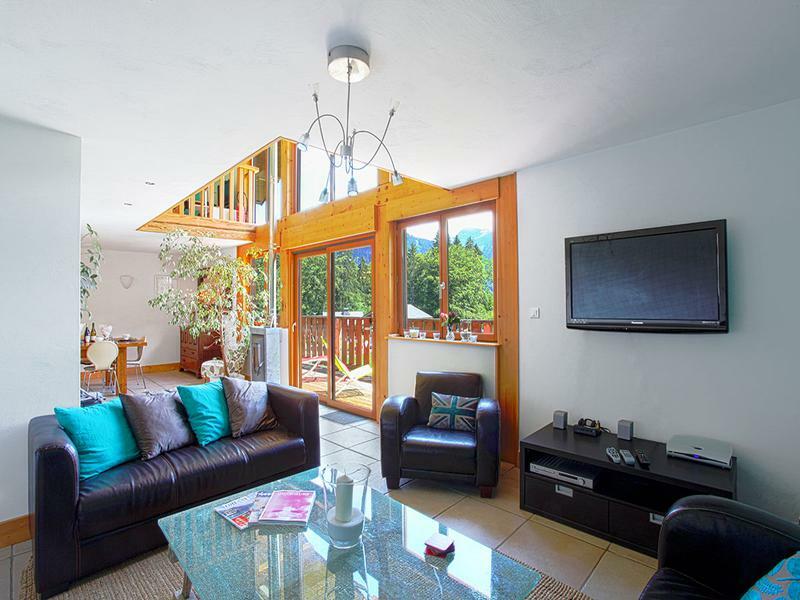 Essert Romand near Morzine - Beautiful individually designed 5 bedroom chalet with a 2 bedroom apartment for sale in a traditional Savoyard village 3km from Morzine. Sunny location and mountain views. 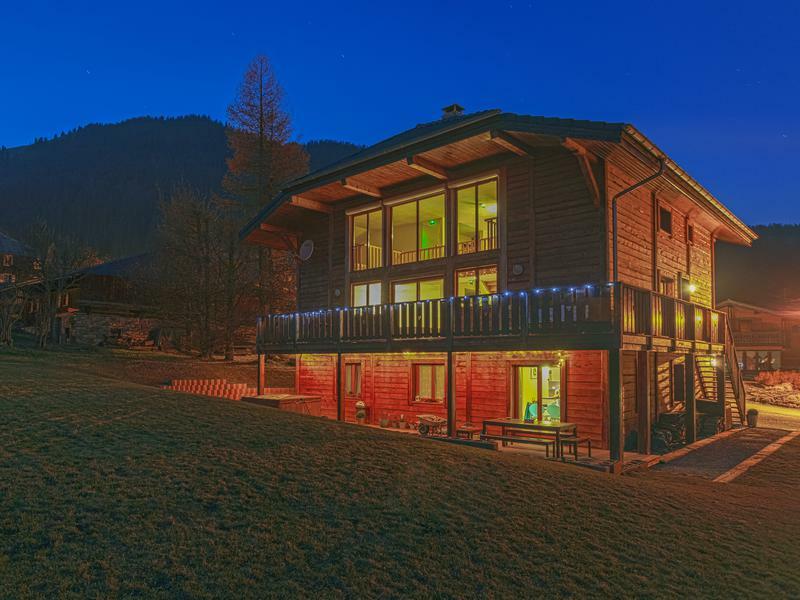 Built in 2006 this immaculate 7 bedroom chalet for sale in Essert Romand is just 5 minutes from Morzine and access to the vast ski area of the Portes du Soleil. 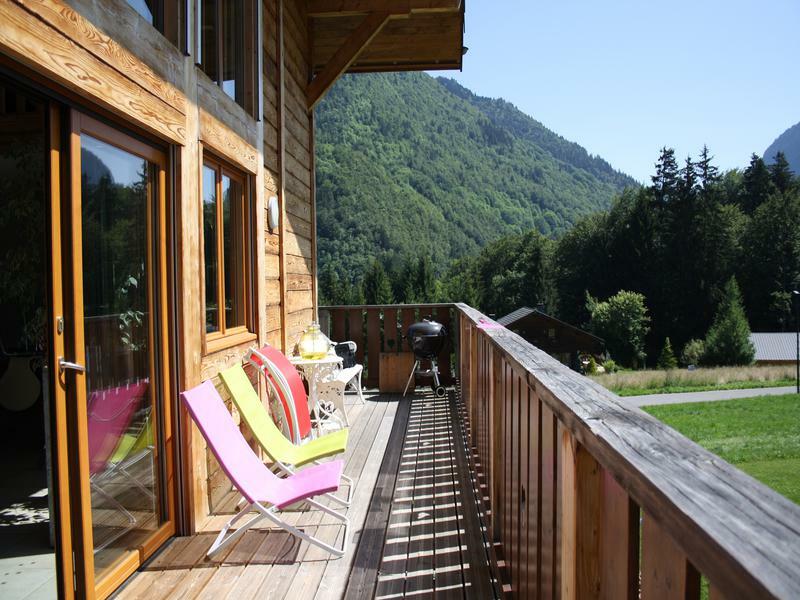 It has amazing views of the mountains around Morzine and large windows to let in all the lovely alpine sunshine. 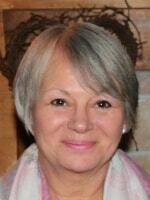 It has been insulated to a high standard and is very economical to run. 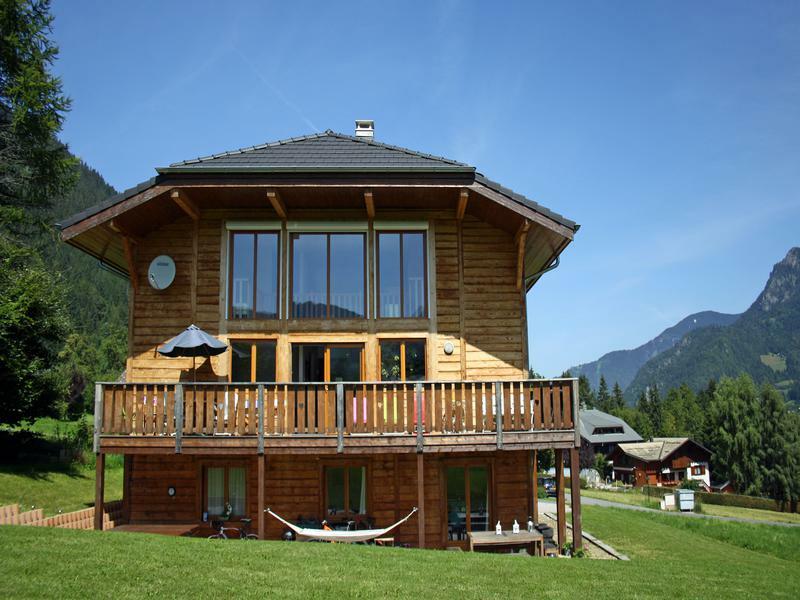 It would make an ideal chalet business or equally a stunning family home. 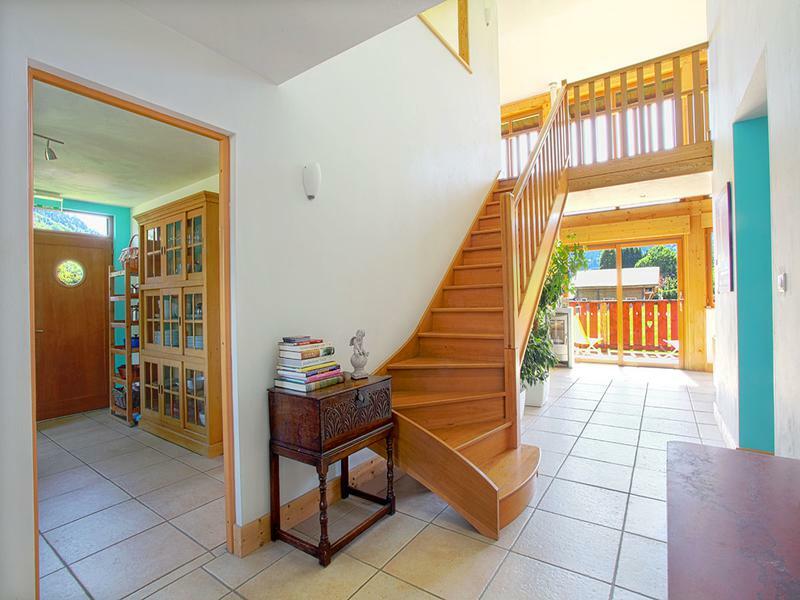 Entrance hall with a door to the separate apartment, the laundry room, the garage, boot/shoe storage and stairs to the first floor. 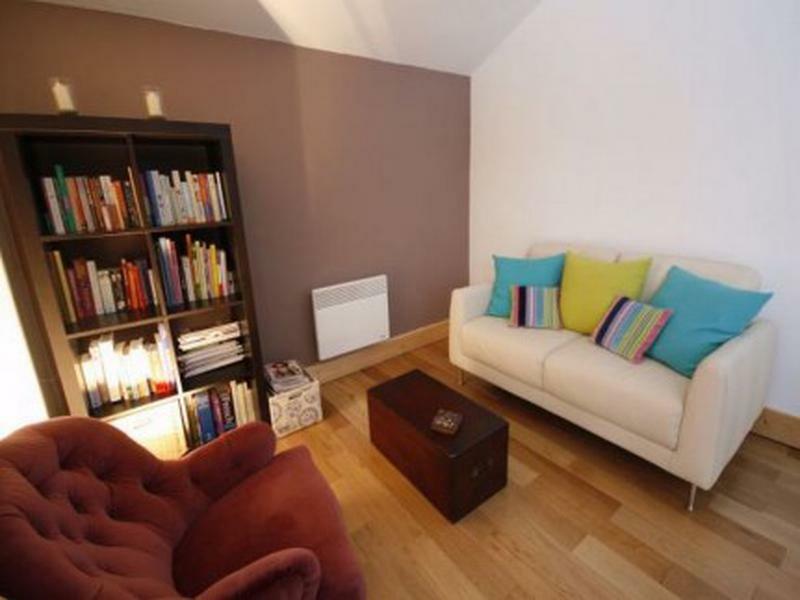 The separate apartment has got an open plan living / dining area with the kitchen in one corner. There are French doors onto the south facing terrace. The fitted kitchen has a an electric cooker and hob, a dishwasher and an integral fridge. 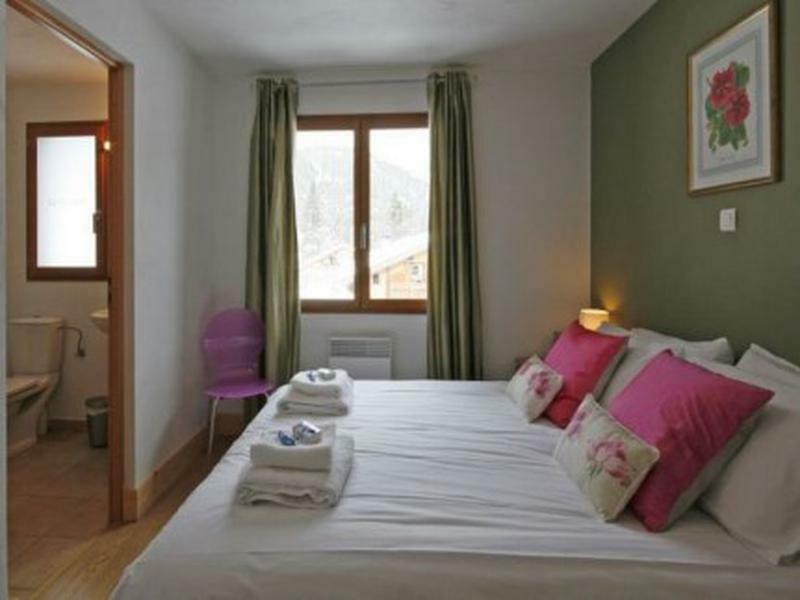 There are 2 double bedrooms, a study and a bathroom with a bath, hand basin and a separate toilet. The laundry room houses the washing machine the dryer and the 1,400 litre water tanks. Double garage which is used as a games room. Shower room with a hand basin and a toilet which is next to the door to the outside terrace. Imposing open plan living space with a tiled floor, a large contemporary wood burning stove and massive south facing picture windows. The effect is quite stunning. The super large dining table is in one half of the room and sofas in the other. Kitchen – The fully fitted separate kitchen has got a white central island, an industrial cooker, a dishwasher and a fridge. There is a door out to the side balcony with stairs down to the front of the house. Toilet with a hand basin. Bedroom 1 which has a lacquered oak flooring is a double bedroom with an enjoining room for bunk beds and a newly tiled bathroom with bath, hand basin and toilet. 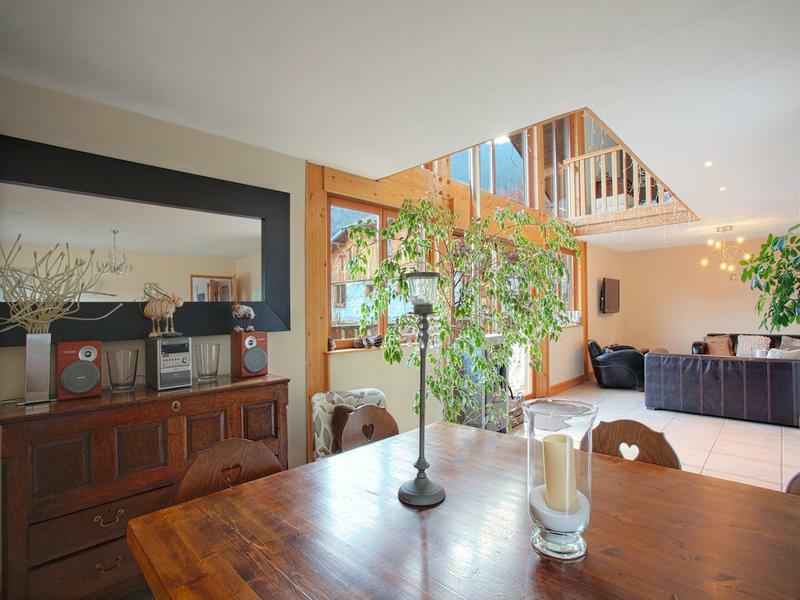 The landing is galleried mezzanine which overlooks the living space below and is a television room and a games room. On this floor there are 4 further double bedrooms all with tiled en suite bathrooms each with a bath, a hand basin and a toilet. The garden all around the chalet is laid to grass. Morzine/Avoriaz is part of the vaste Portes du Soleil ski domain which has 212 interconnected lifts servicing over 650kms of runs sprawling across 12 areas, seven in France and five in Switzerland. There are 273 marked ski runs as well as 216 km of cross-country trails. 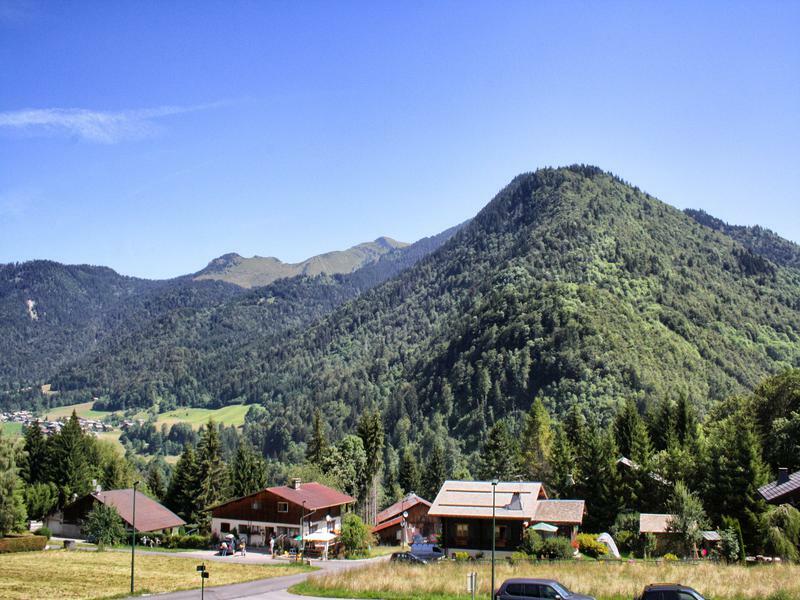 It is also popular in summer for mountain biking, mountain walks and water sports. The towns of Thonon les Bains and Evian on Lac Leman are only a 30 minute (29km) drive away. 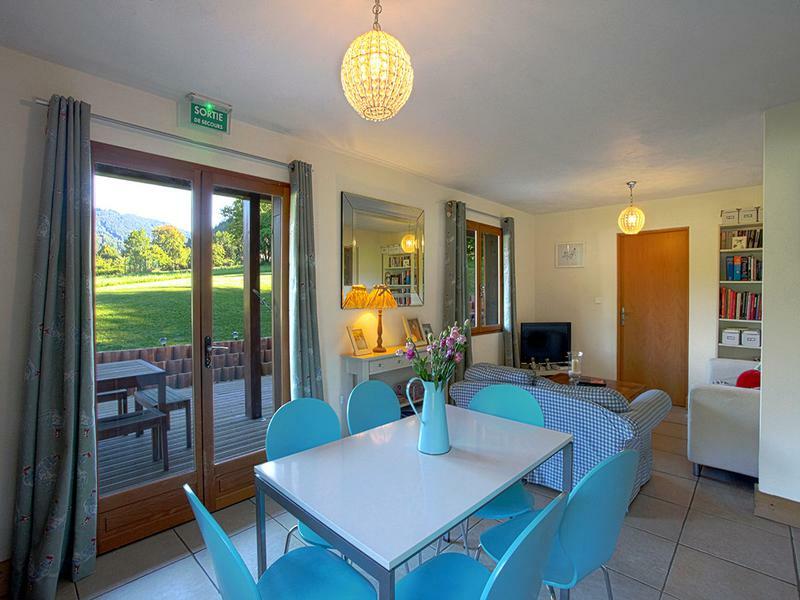 The international airport of Geneva is only just over an hour away making it very easy for short breaks and the ferry ports in the north of France are an 9 hour drive away.